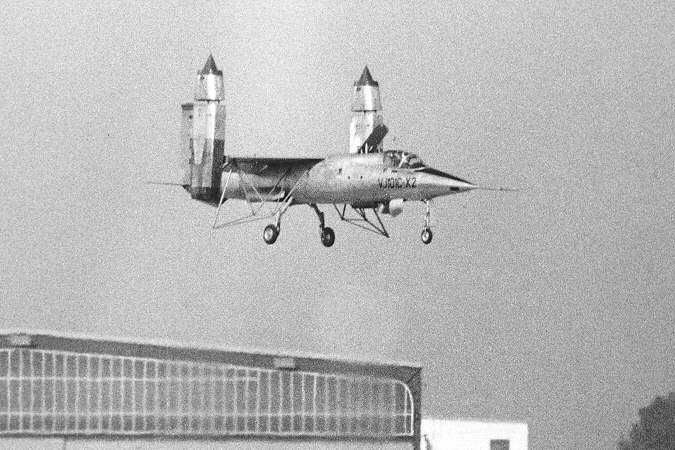 The VJ-101 C X1 at the German international airshow ILA 1964 in Hannover. Close-up of the RB 145 engines on the right wing. 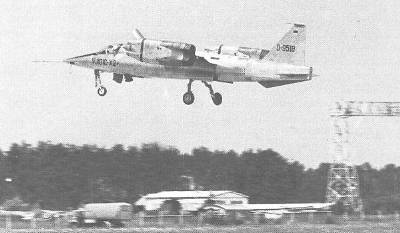 VJ-101 C X1 vertical take-off during the ILA. 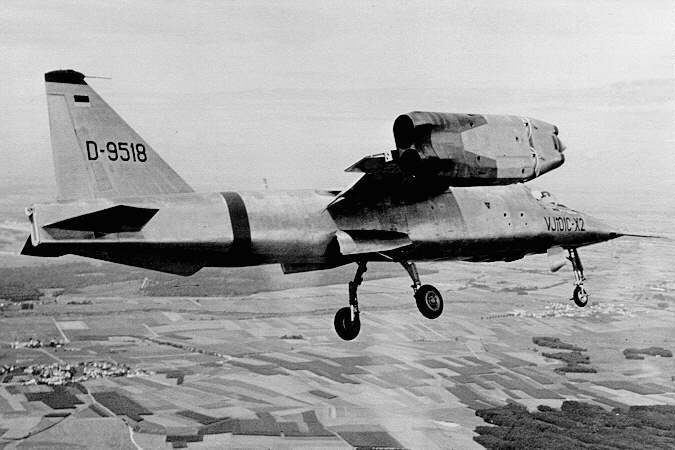 VJ-101 X1 in hover flight. VJ-101 C X2, mounted on the telescope stand with engines running and landing gear up. 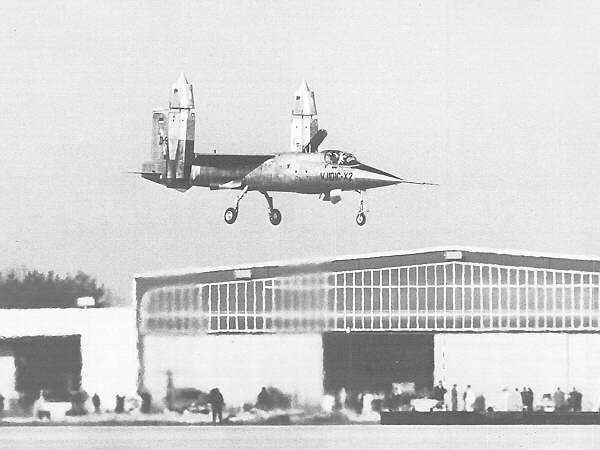 VJ-101 C X2 vertical take-off. The VJ-101 C X2 takes off regularly. 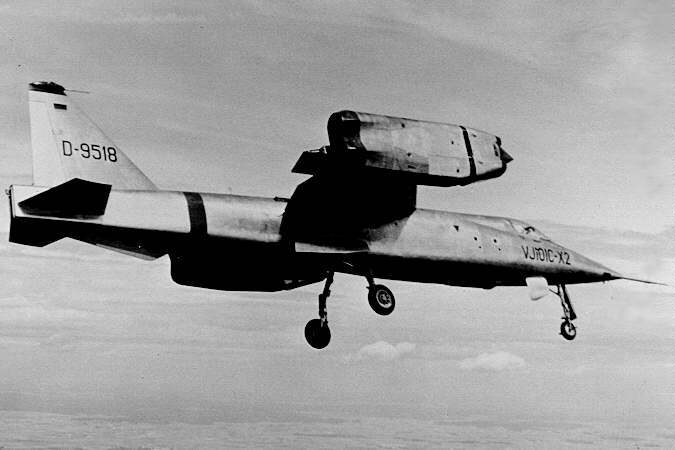 The VJ-101 X2 in flight. 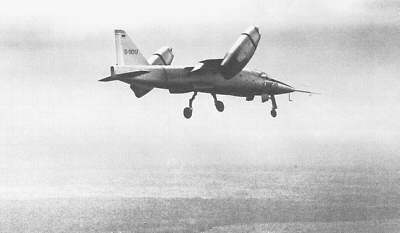 The VJ-101 X2 in flight. VJ-101 X1 during transition. 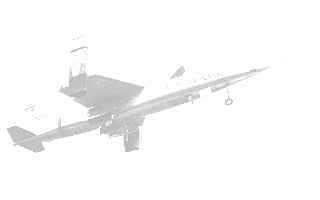 VJ-101 C X2 vertical take-off with afterburner. 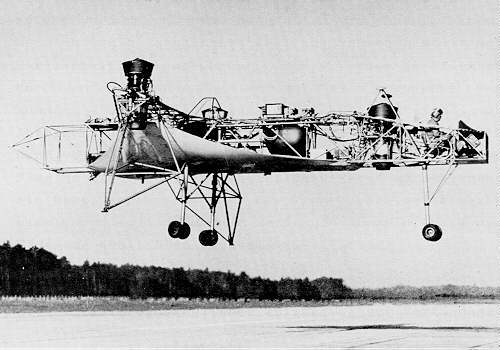 VJ-101 C X2 in hover flight with additional supports under the wings to relieve the main gear in case of a hard landing. VJ-101 C X2 regular take-off. VJ-101 C X1 regular landing with landing parachute open. VJ-101 C X2 during transition. 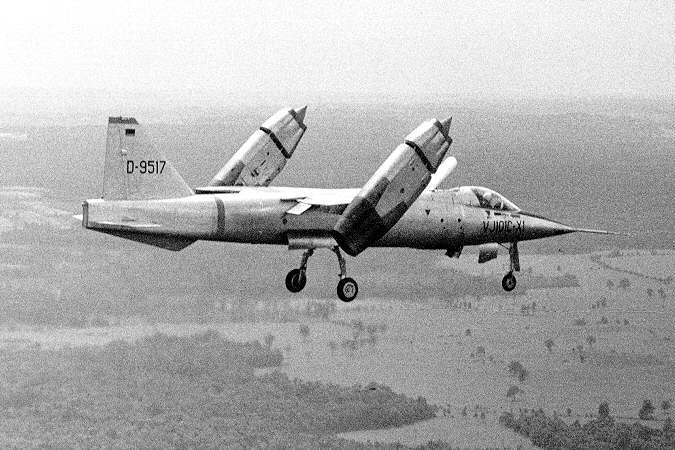 The VJ-101 hovering rig in flight, equiped with three RB 108 engines. The VJ-101 hovering rig on the ground. The VJ-101 C X1, mounted on the telescope stand. The VJ-101 C X2, mounted on the telescope stand. 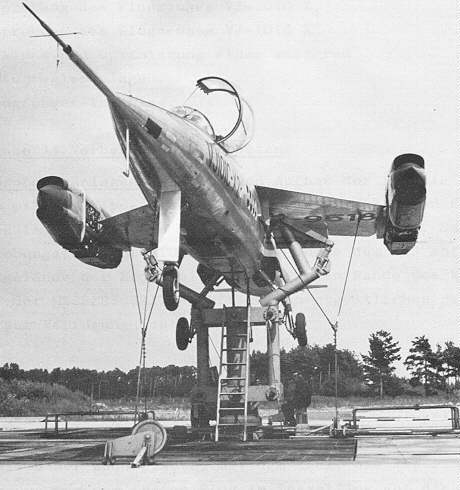 The VJ-101 C X1 during ground tests. Close-up of the two engines on the wing ends. Notice the wire grids covering the engine inlets to prevent foreign object damage during ground tests. 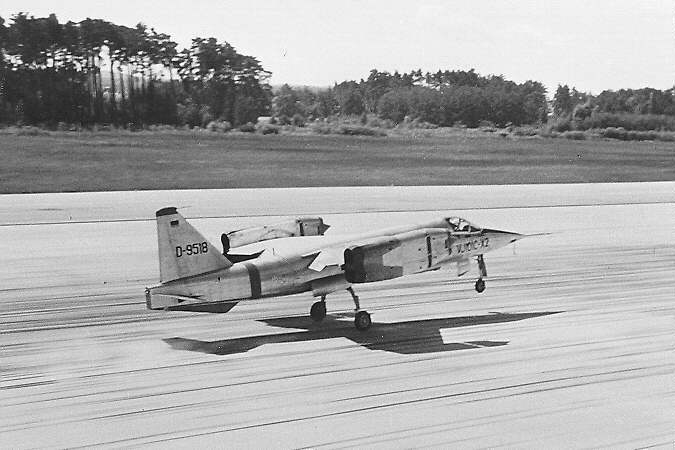 VJ-101 C X1 vertical take-off. VJ-101 C X2, mounted on the telescope stand, with engines running. Engine covers partially removed. 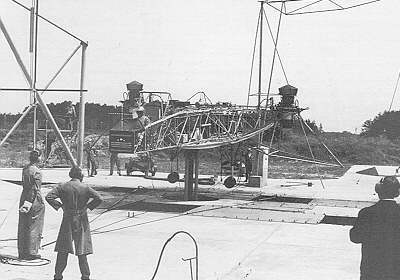 Pivot at the wing end with hydraulic and fuel pipe connections. Aircraft nose with telemetry equipment. VJ-101 C X1 cockpit close-up.